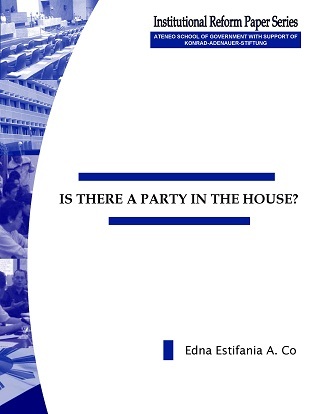 This paper on the party list system explains the importance of proportional representation and the nature of the party list as a political party. 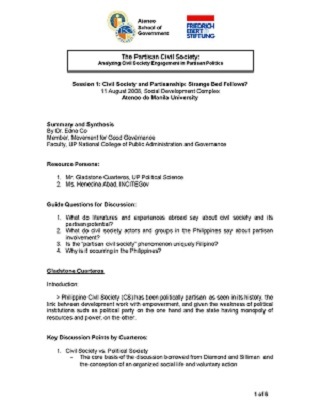 This paper argues that Islamic tradition can permit a Bangsamoro Federal Islamic State within a secular democratic system. This paper is espousing that liberalization of professional and educational services will enhance economic competitiveness of the country in medium to long terms. This discussion series reflected, examined and investigated the lessons and prospects of the involvements of societal forces in the contestation of state power.